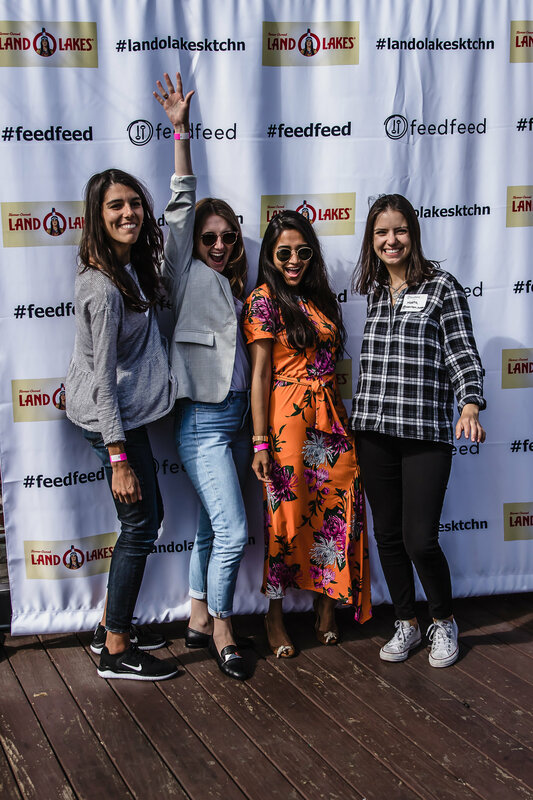 When The Feedfeed Team arrived in Boston, we finally experienced the fall weather we had been waiting for. The leaves were starting to change, with patches of orange and yellow throughout the trees. The crisp air was begging us to finally break out our sweaters. And, as always, with fall comes football. Boston teams have a dedicated fan base. It doesn’t just have to be game day to see jerseys speckled throughout the streets, and during football season, red, white and blue reign supreme. 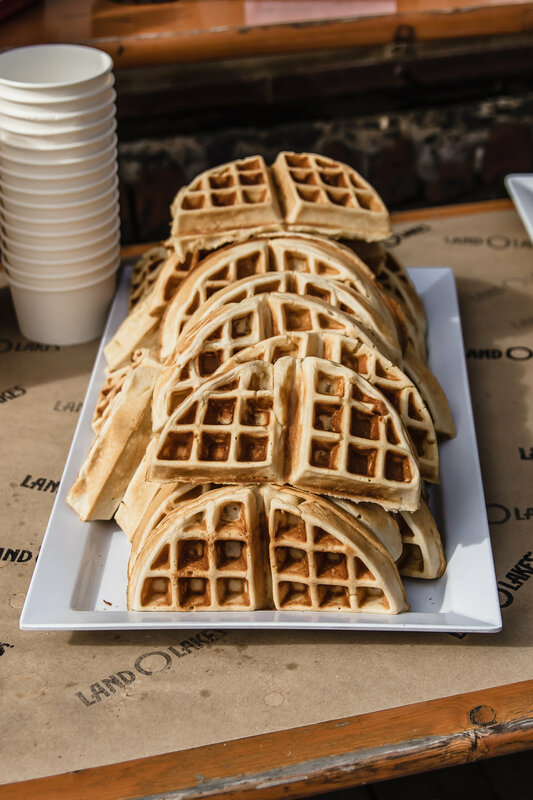 Therefore, what better place to kick off our three-city tour to celebrate Land O’Lakes than Beantown, where football, game day snacks, and Deli American all have a special place? 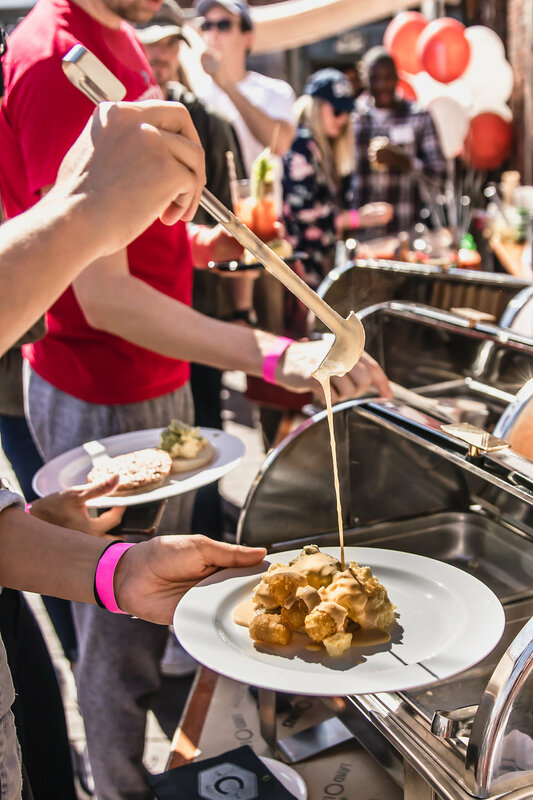 Our party was all about Boston and showcasing Land O Lakes® Deli American through the lens of our Boston community, so we invited them to join us at Coppersmith, a truly unique Boston location for a game day brunch. The vintage warehouse in South Boston features a cafe, bar and in-house food truck on the main level. A perfect location to watch football, with enough TVs, you never have to worry about missing a second of a game. 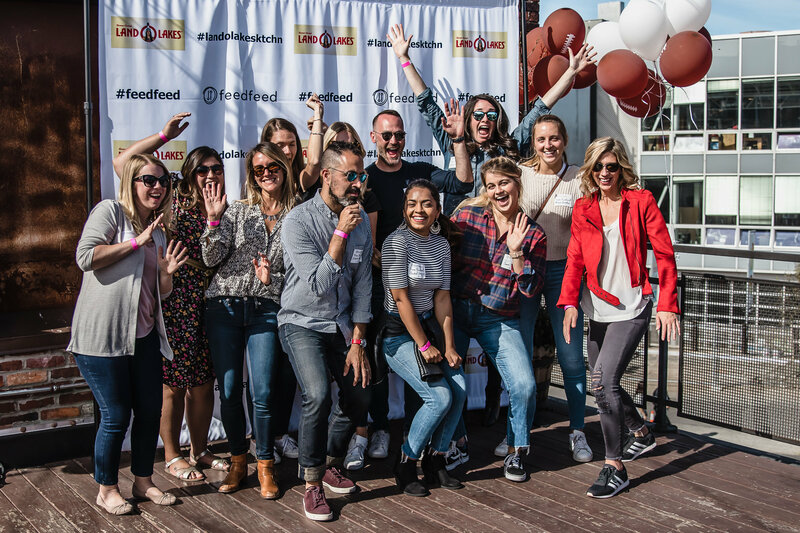 We hosted our community on their open-air roof deck, where an old silver trailer converted into a bar, adds to the vintage feel of the space. 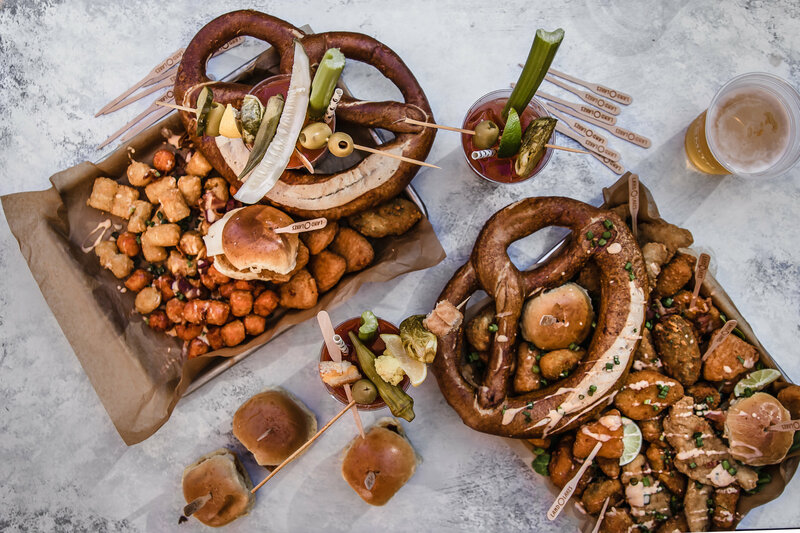 Everyone got together for brunch as the game was kicking off and the crowd settled in on the rooftop to watch the afternoon football game. 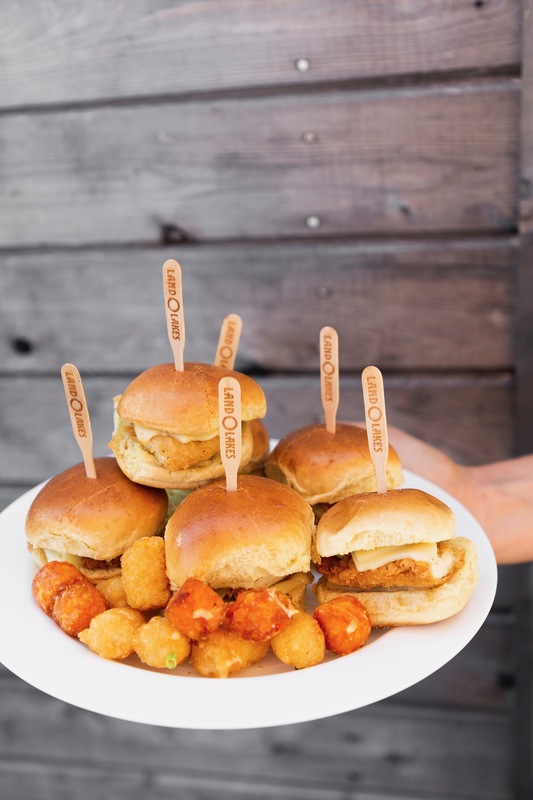 With the entertainment provided, all that was left was the food, where the Land O Lakes® Deli American would be the MVP. Our menu included the classics, like breakfast sandwiches and sliders, where Deli American was a natural fit. 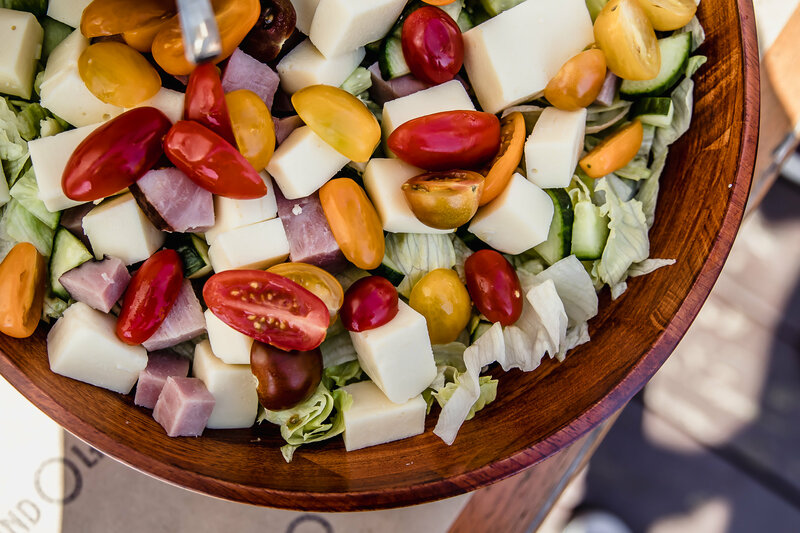 We also created a play on a chef’s salad, because cubes of Deli American were just what this salad needed to bring it over the top. Next, the only logical place to go was a classic sub. 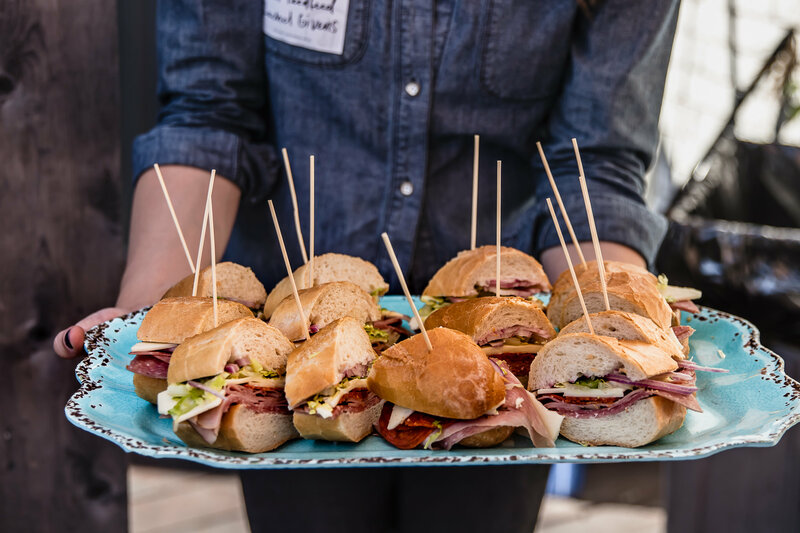 Our version of a New England Style Italian Sub was a hit, because you can’t host a true tailgate without some sort of a sandwich. Piled high with Coppa ham, Deli American and a punchy kalamata olive and oregano spread - it was starting to feel like game day. Need a refreshment? 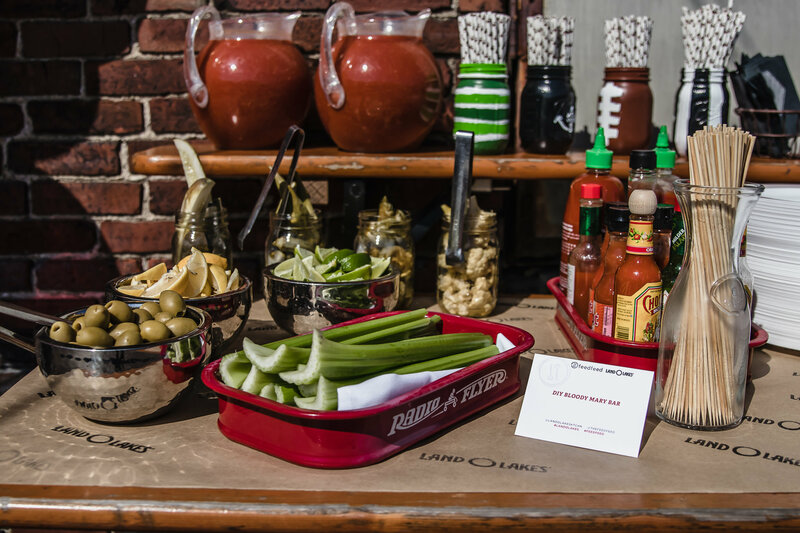 The DIY Bloody Mary bar allowed guests to customize and amp up their average breakfast cocktails. 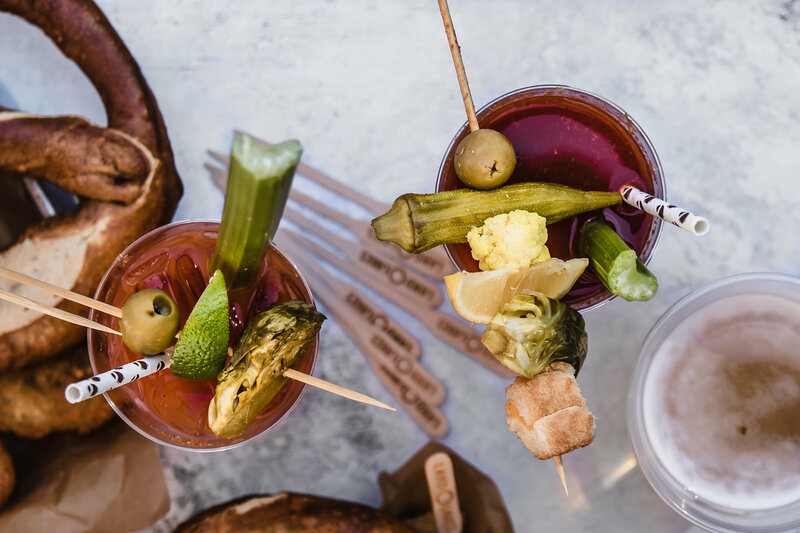 Customize the spice of your mix with hot sauce, add a variety of pickled vegetables, like okra, Brussels sprouts, or your classic dill pickle, and top it off with a grilled cheese crouton. It’s basically just a grown up version of grilled cheese and tomato soup! Yes, a tatcho bar. 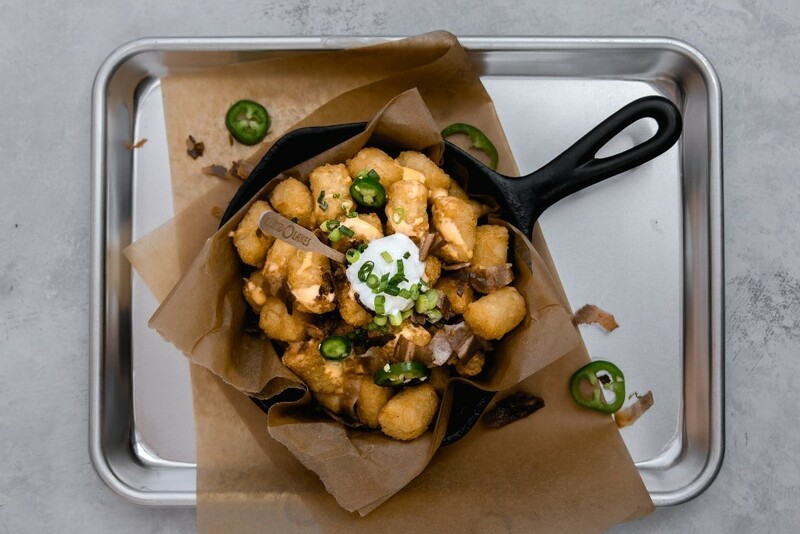 Grab a plate of sweet potato or regular tater tots, add the Deli American sauce, and top with bacon, sour cream, and throw a little green in there with some scallion. It was the perfect way to amp up your typical breakfast potatoes. 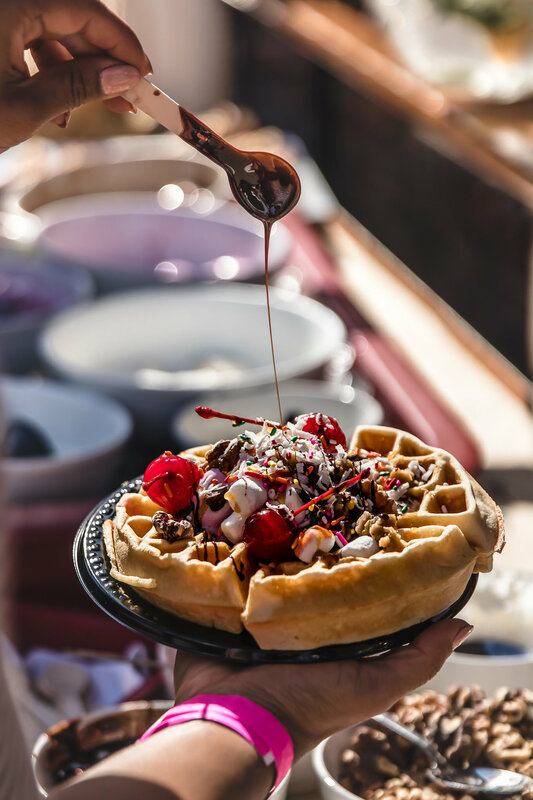 As the game and the day began to wind down, an ice cream waffle bar was set to wake everyone up a bit from their food comas. 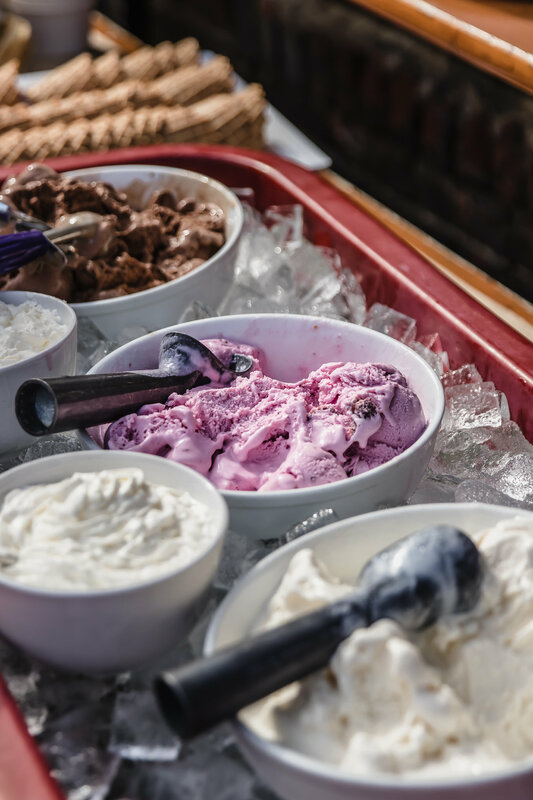 Guests loaded their waffles or waffle cones with chocolate, vanilla and strawberry ice cream to find a bunch of toppings to choose from at the end of the station. 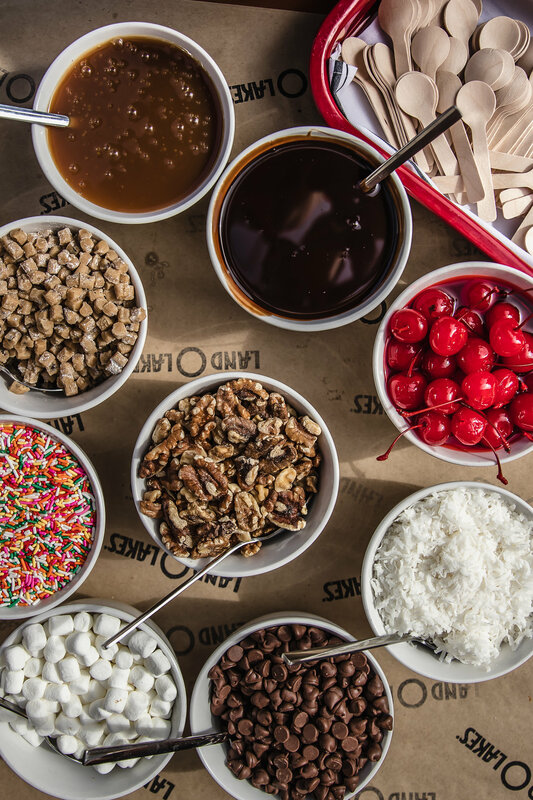 Sprinkles, walnuts, marshmallows and cookie dough pieces were among the lot to choose from. The spread created some awesome shareable moments! On game day, Land O Lakes® Deli American truly is a perfect side kick. 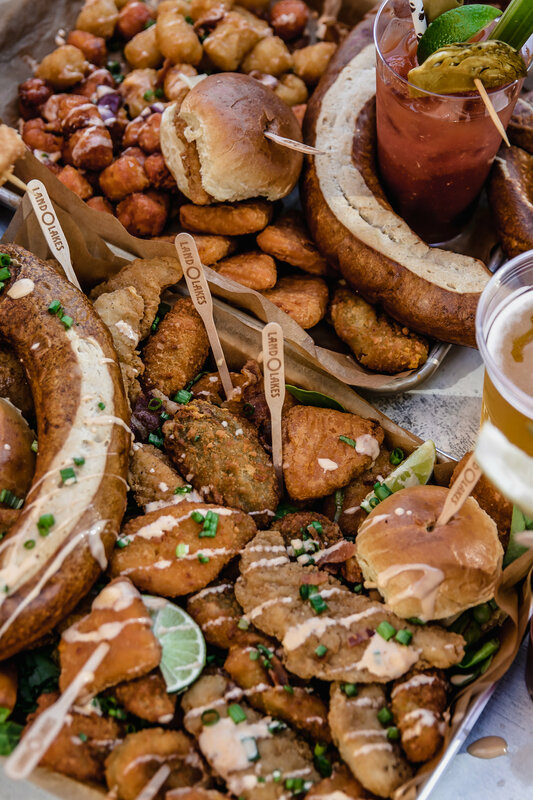 From sandwiches to cheese sauce, it’s nostalgic and fits naturally into game day munchies and brunch. 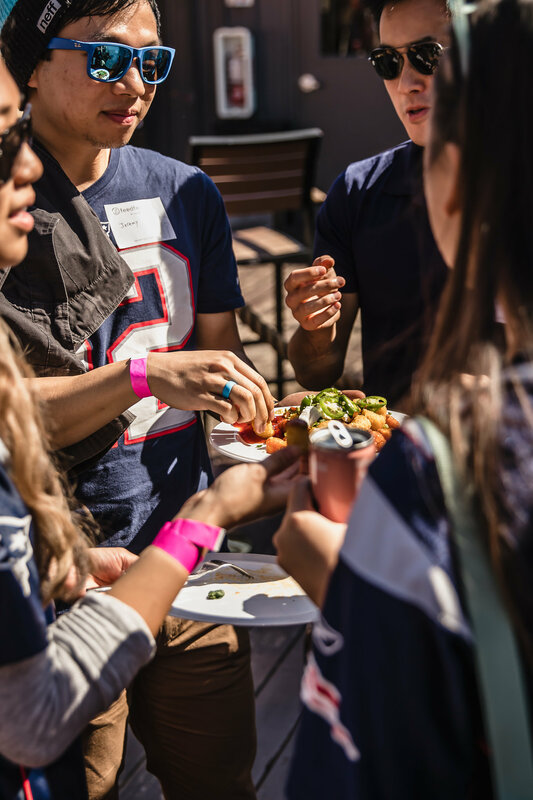 All in all, it was a great city and group to kick off the football season and celebrate Land O Lakes® Deli American with! This post was in paid partnership with Land O'Lakes.